Not sure if it was just a busy day, but I sat in the room for a little over an hourwaiting to see the doctor and that was with an on time appointment. Once he arrived, he definitely took care of my problem. He and his staff were extremely nice. I'll definitely recommend this office. Not sure if it was just a busy day, but I sat in the room for a little over an hour waiting to see the doctor and that was with anon time appointment. Once he arrived, he definitely took care of my problem. He and his staff were extremely nice. I'll definitely recommend this office. Typical medical office environment. Tons of paperwork to fill out. Waited more than an hour in the waiting room. Didn't leaveuntil 2 hours after I arrived. Typical medical office environment. Tons of paperwork to fill out. Waited more than an hour in the waiting room. Didn't leave until 2 hours after I arrived. Dr. Nino is an ear, nose, and throat doctor caring for the Douglasville, GA community. Dr. Nino received his Doctorate of Medicine from the National University of Athens in Athens, Greece. He completed his residency in Otolaryngology at the University of Tennessee in Memphis. Dr. Nino completed his internship in General Surgery at the University of Nevada School of Medicine. Dr. Nino also conducted research at the University of Nevada and Stanford University and co-authored two articles that are published in the annals of the Journal of Surgery. Prior to joining WellStar Medical Group, Dr. Nino assisted in establishing a successful, hospital-sponsored ear, nose, and throat (ENT) practice in Hawkinsville, GA. While in Hawkinsville, Dr. Nino was Chairman of Safety for one year and Chairman of the Surgical Committee for five years. He is a four-time recipient of the America’s Top Physicians Award. Dr. Nino is board certified in otolaryngology. He performs the full scope of general ENT procedures. His professional interests are in endoscopic sinus surgery and sleep apnea. He sees pediatric and adult patients. 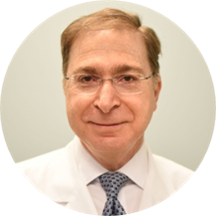 Dr. Nino is a member of the American Academy of Otolaryngology Head and Neck Surgery and a fellow of the American College of Surgeons. Dr. Nino is also a member of the Georgia Society of ENT. Excellent! He was very nice, courteous and informative. I would definately recommend him. The lady at the front desk moved things along quite efficiently but for some reason she never smiled at me. I was trying to be friendly but iguess she just wasnt in the mood. Other than that everything else was very comfortable and easy going. First ENT that actually made me feel comfortable. Very nice office staff. He listens and suggests ways to help. He did all tests needed to assist with the diagnosis. I will return for another appointment.